The statistic shows a survey conducted in Nigeria in 2014 concerning the level of threat posed by militant groups for the future of Nigeria. 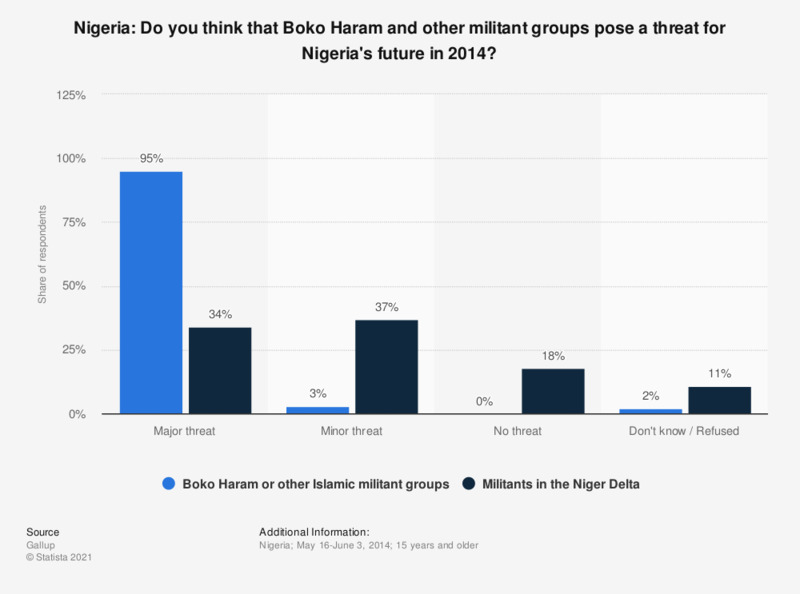 In 2014, Boko Haram and other Islamic militant groups were seen by 95 percent of respondents as a major threat for the future of Nigeria. The source poss the question as follows: "Please indicate whether the following groups pose a major threat, minor threat, or no threat to the future of Nigeria."